Architecture firm Wilkinson Eyre has revealed visuals showing its plan to install a glass lift inside one of the chimneys of Battersea Power Station in London. As part of its renovation of the Giles Gilbert Scott-designed power station, the architecture studio has designed a lift that will rise 109 metres through one of the building's four chimneys. 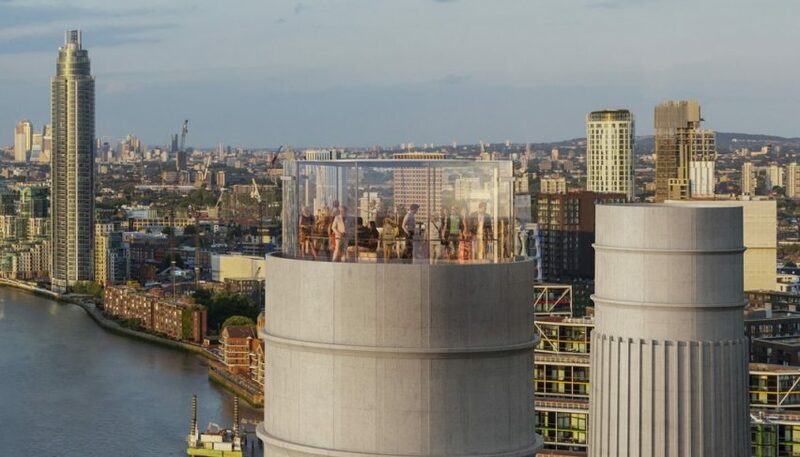 When it reaches its peak, it will offer occupants 360-degree panoramic views across London. Named the Chimney Lift, the elevator is one of three new attractions revealed by the Battersea Power Station Development Company, set to occupy the building alongside shops and offices. Alongside the lift, which was first announced in 2013, the company has unveiled plans for an event space for 1,500, called The Venue. 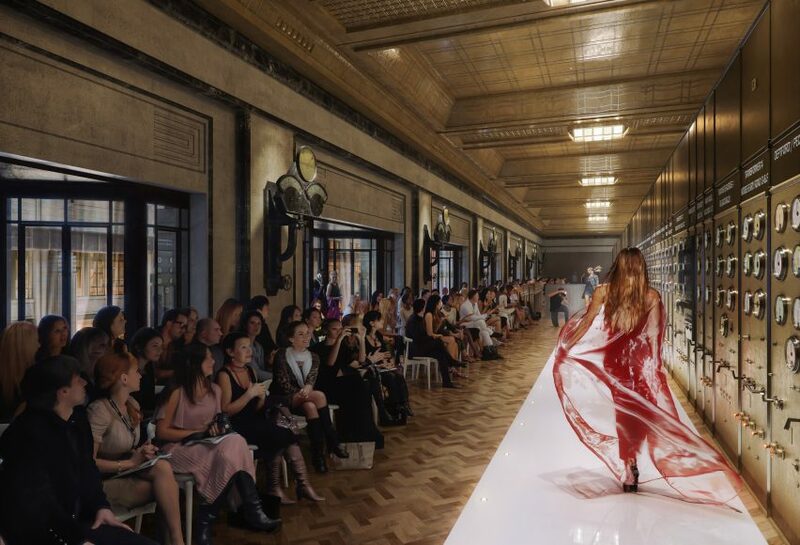 The developer envisions the space being used for product launches, fashion shows, conferences and dinners. 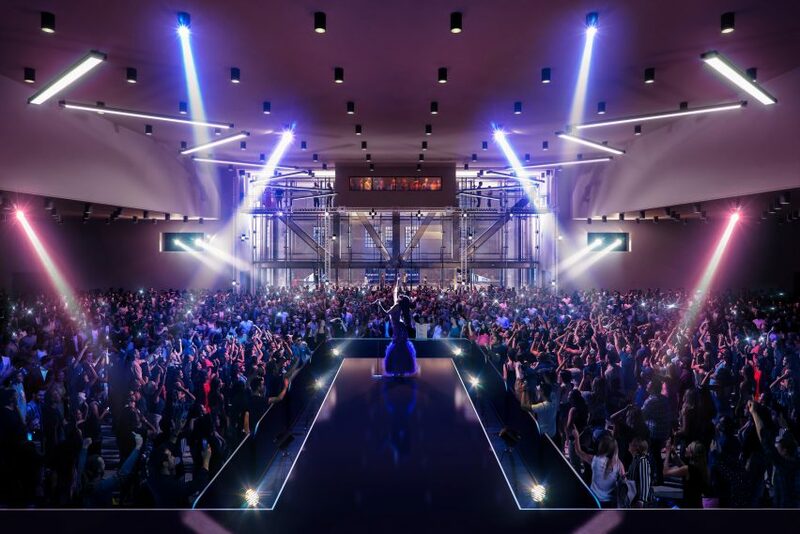 A second event space within the power station's former control room, described as "a magnificent and rare example of a complete 1930s art deco interior", was also unveiled. "These unique spaces are central to our plans that will make Battersea Power Station one of London's most exciting destinations," said Andrew Hilston, head of leasing at Battersea Power Station Development Company. "Having already engaged with a number of prospective partners, we are confident the market shares our enthusiasm for the new spaces, and we're looking forward to selecting partners that can deliver real vibrancy, animation and soul to the development." Built in the 1930s, Battersea Power Station is a Grade-II* listed landmark, but has been empty since being decommissioned in 1983. The building has been subject to a number of unsuccessful development proposals over the last 30 years, including a stadium for Chelsea Football Club, a public garden and a theme park. It is now becoming the centrepiece of a 17-hectare Thames-side masterplan by Rafael Viñoly, which will include a public square designed by BIG, and housing designed by Ian Simpson Architects, dRMM, Gehry Partners and Foster + Partners. Wilkinson Eyre's overhaul of the structure will transform it into a complex of offices, shops, apartments and a 60-room hotel. The largest tenant of the building will be Apple, which will rent 46,000 square metres of office space across six storeys, as its London campus.